The Occupational Safety and Health Administration (OSHA) is supposed to serve as the watchdog for worker safety at US job sites. Officially, it develops and enforces government standards that businesses and other non-governmental organizations are required to follow in order to prevent employees from getting sick or injured. But drastic cutbacks and policy changes have left OSHA a shell of its former self when it first came into existence in the early 1970s. Several Republican administrations, including that of President George W. Bush, have worked to lessen the regulatory power of OSHA and turn its mandatory worker-safety programs into voluntary-based efforts by employers. According to government records, in 2005 there were more than 6,800 workplace-related deaths in the United States and 4,200,000 injuries and illnesses. The Occupational Safety and Health Administration has had a long and embattled existence. Even before OSHA’s creation, the idea of stricter federal regulations over workplace safety sparked considerable opposition from businesses. In January 1968, President Lyndon Johnson called on Congress to enact a job safety and health program, saying it was unacceptable for a modern industrial nation like the US to not have tougher regulations aimed at reducing the rate of workers injured or killed on the job. President Johnson was unable to garner sufficient votes to pass his plan, leaving the creation of a new government agency charged with developing occupational safety regulations in the hands of President Richard Nixon. In spite of his pro-business affiliation, Nixon agreed to sign the landmark Occupational Safety and Health Act of 1970, which led the Department of Labor to create OSHA in 1971. OSHA was criticized during its inaugural decade of the 1970s, partly for inconsistent decision-making when enforcing health and safety regulations, and partly by intransient opposition from big business to OSHA’s mandate. Things only got worst in the eyes of business leaders when President Jimmy Carter took office and his OSHA leader, Eula Bingham, embarked on a campaign to reduce health hazards in the work place, including toxic chemicals. Business leaders thought differently of Carter’s successor, President Ronald Reagan. Having come into office with the promise to reduce the size of government and lessen its impact on business, Reagan went about trying to weaken OSHA’s ability to enforce safety and health regulations. Reagan officials in the Department of Labor reevaluated existing standards and those under development to find ways of making them less burdensome. 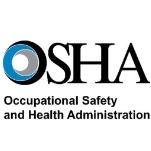 OSHA adopted a less punitive approach to citations and penalties levied on employers, and the agency placed greater emphasis on supporting state workplace safety programs and encouraging voluntary compliance by employers. Budget cuts by the White House forced OSHA to reduce its staff compliance officers, reducing oversight of businesses throughout the country. Union officials and labor supporters accused Reagan, and his successor, George H. W. Bush, of gutting OSHA. With the election of President Bill Clinton in 1992, the bleeding of OSHA stopped. However, the centrist, business-friendly Democrat did not roll back the changes installed under Reagan and revitalize OSHA as some labor supporters had hoped. Instead, OSHA continued to fight for its life once Republicans took control of Congress in 1994. Provisions introduced by GOP members tried to weaken OSHA’s ability to impose mandatory standards that companies must abide by. Under the administration of President George W. Bush, OSHA has become even less of a safety watchdog. President Bush’s appointees at OSHA have turned the agency into a largely voluntary-oriented program. The administration’s anti-regulatory philosophy has translated into a smaller staff at OSHA to develop new standards, less reliance on the views of organized labor and an enlarged role for businesses. Part of the Department of Labor, the Occupational Safety and Health Administration (OSHA) develops and enforces government standards geared towards protecting workers on the job. OSHA also provides training and education to employers and employees on ways to improve health and safety in the workplace. Most industries and employment sectors come under OSHA regulations, with the exception of miners, transportation workers, many public employees and the self-employed. OSHA makes available to the public a wide range of data and statistics regarding health and safety in the workplace. OSHA employs inspectors who look into allegations of health and safety violations by employers and is supposed to levy fines in cases where employers have been found guilty of violations. However, because of budget cuts over the years, OSHA has increasingly relied on state-level OSHA programs (which are independent of the federal OSHA) to carry out this important mission. The Strategic Partnership Program (OSPP) is a key element of the Bush administration’s efforts to move OSHA away from traditional enforcement methods and toward collaborative agreements with employers. Through OSPP, businesses agree to work cooperatively with OSHA to address critical safety and health issues. This program is complimented by OSHA’s Voluntary Protection Programs (VPP) in which management, labor and OSHA officials work together to implement safety and health management systems. On-Site Consultation service offers free and confidential advice to small and medium-sized businesses in all states across the country, with priority given to high-hazard worksites. Consultation services are separate from enforcement efforts used by OSHA and do not result in penalties or citations. Local Emphasis Programs are enforcement strategies designed and implemented at the regional or area office level. These programs are intended to address hazards or industries that pose a particular risk to workers in a given jurisdiction. grants to nonprofit organizations on a competitive basis to provide training and education programs for employers and employees. With the exception of only a few industries, such as mining, plus public employees, almost all job sectors and industries are covered by OSHA regulations, giving the agency one of the largest audiences of stakeholders within the federal government. There are more than 10 million businesses in the US, and most of them must comply with OSHA health and safety standards. From fast food cashiers to industrial engineers at chemical plants, OSHA’s work potentially affects more than 100 million Americans. Investigations by the New York Times and Washington Post have pointed out that the Bush administration has consistently scaled back OSHA regulations and enforcement efforts during this decade. The changes reflect President Bush’s vow to limit new rules and roll back what it considered cumbersome regulations that imposed unnecessary costs on businesses. According to the New York Times, OSHA has issued the fewest significant standards in its history during Bush’s two terms in office. It has imposed only one major safety rule, and the only significant health standard it issued was ordered by a federal court. Furthermore, OSHA officials have killed dozens of existing and proposed regulations and delayed adopting others. For example, OSHA experts have said silica dust, which can cause lung cancer, and construction site noise should be listed as health hazards that warrant new safeguards affecting nearly three million workers. But OSHA’s leadership has yet to require them. Another example was provided by the Washington Post, which reported in 2004 how the administration scuttled almost 10 years of work to create new health and safety standards designed to stop the spread of tuberculosis in the workplace. During the 1990s, health experts noticed that TB was reappearing with alarming frequency across the United States. OSHA under President Clinton began writing rules to protect five million people whose jobs put them in special danger of contracting TB, including those who work in hospitals, homeless shelters, prisons and drug treatment centers. During the first three years of President Bush’s term in office, OSHA officials sat on the TB regulations. Then, on the last day of 2003, the administration quietly killed them. Officials insisted voluntary measures were effective enough to take care of the problem. After the collapse of the World Trade Center towers on Sept. 11, 2001, OSHA decided to change its policy regarding emergencies. No longer would it enforce health and safety regulations during terrorist attacks or other serious incidents, according to the agency’s new National Emergency Management Plan (NEMP) (PDF). Instead, OSHA will provide technical assistance during large-scale emergencies, such as assessing the risks faced by emergency workers first on the scene. This decision has alarmed some labor and worker safety experts. During the rescue and recovery operations in New York, many of the 6,000 workers did not wear proper respiratory protection and were not protected from the toxic atmosphere that was present. “OSHA’s NEMP has some shocking flaws,” said Joel Shufro, executive director of the New York Committee for Occupational Safety and Health. Instead of OSHA keeping watch over the safety of first responders, the Department of Homeland Security (DHS) and the Federal Emergency Management Agency (FEMA) may wind up responsible for enforcing health and safety regulations. Or will they? DHS oversees the National Incident Management System (NIMS) and the National Response Plan (NRP), which include OSHA standards. But there’s no guarantee that DHS officials will see to the enforcement of workplace safety laws during emergencies. Yes, G.W. Bush allowed the OSHA budget to decline; did not issue many new standards, and even personally repealed a significant-yet-controversial regulation, something no President has ever done. But is a Republican President likely to be less of an enforcer than a Democrat? Judging by the last twenty years, (during some of which I was an OSHA compliance officer and worked for both George H.W. Bush and Bill Clinton), I believe one should be wary of using political party affiliation to guess how a President will exercise the enforcement powers of OSHA. Based on the numbers of inspections, the numbers of violations per inspection, the percentage of serious violations and the penalties per inspection, George W. Bush was a substantially more enthusiastic OSHA enforcer than Bill Clinton; and Bill Clinton was a less aggressive enforcer than his predecessor George H.W. Bush. Proof: There were 11% more inspections under Bush in FY2008 than in FY1998 under Clinton. Total violations grew by 13% since FY1998. And guess what's happened under Obama? Total violations in Obama's FY2015 were 25% lower than G.W. Bush's FY2008. In Obama's FY2015, total inspections were down 8% from Bush's FY2008. You can look all this up on OSHA's website if you don't believe me. OSHA's purpose is to protect worker safety, which they do through enforcement. Whether or not they actually need more regulations is a matter of debate, but it's easy to see over the past several decades the Democrats in the White House have consistently been weaker on OSHA enforcement than Republicans. It's a myth that OSHA protects the setafy of the worker. OSHA's mandate is simply to make the job safer than it would be without OSHA. Cost/benefit analyses are performed on new proposed setafy regulations, and if the cost is determined to exceed the benefit, the proposed safeguards are not put into place. Additionally, when any new regulation is proposed, public comments are legally solicited and published in the Federal Register. These comments ultimately determine if the regulation is promulgated.It is really a double-edged sword. We can make the jobs safer by spending more money, but we have to pass the cost along to the customer or lower the profits of the business. Yes, that could cause businesses that comply to go bankrupt while those who ignore the regulations thrive. If you don’t believe that, look up coal mining setafy records and profits.Is the cost worth it? I guess it depends on if the life or limb that is missing because the setafy costs were too high belong to friend or foe. How much money would you spend to save your son's or daughter's eyes, arms, legs, or life? I am happy to see that technology is solving some of the worker setafy problems! The deaths of eleven workers in the explosion of BP’s Gulf of Mexico oil platform Deepwater Horizon, has highlighted the importance of worker safety on the job. 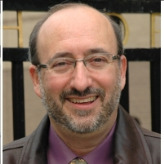 The Occupational Safety and Health Administration (OSHA), the federal agency responsible for protecting the safety and health of American workers, has been headed since December 9, 2009, by a public health expert, Dr. David Michaels, PhD, who has devoted his career to issues of public and occupational health. Michaels has already testified before Congress about OSHA’s role in protecting the more than 33,000 people who are working on the massive effort to clean up the toxic oil spill. Born October 11, 1954, in New York City, Michaels is the son of prominent journalist Ruth Gruber, a “renaissance woman” who in 1931 earned a doctorate (in German Philosophy, Modern English Literature and Art History) from the University of Cologne in Germany at age 20, covered the odyssey of the “Exodus 1947” ship attempting to transport 4,515 Jewish Holocaust survivors to Palestine, and wound up her career writing about the dramatic migration of thousands of Ethiopian Jews to Israel in 1985. Michaels earned a B.A. in history at the City College of New York in 1977, a Master’s in Public Health at Columbia University in 1981, and a PhD in Sociomedical Sciences, also at Columbia, in 1987. From 1986 to 1990, Michaels founded and directed the Epidemiology Unit of the Rikers Island Health Service, the first such unit in an American jail, conducting studies on tuberculosis, sexually-transmitted disease, drug abuse, mental health, homelessness and HIV. In the early 1990s, he developed a mathematical model estimating the number of children and adolescents orphaned by the HIV/AIDS epidemic. From 1991 to 1998, Michaels was Professor of Community Health at the City University of New York Medical School. In 1998, President Bill Clinton nominated Michaels to be Assistant Secretary of Energy for Environment, Safety and Health, a post he held from 1998 to 2001. At the Department of Energy, Michaels designed a program to compensate nuclear-weapons workers who became ill after exposure to radioactive and other toxic materials. The Energy Employees Occupational Illness Compensation Program has paid more than $4.5 billion to sick workers and their families. Leaving government at the beginning of the George W. Bush administration, Michaels became Professor of Environmental and Occupational Health at George Washington University, where he worked until taking on the OSHA position in December 2009. Some conservatives opposed Obama’s nomination of Michaels, criticizing his 2008 book, Doubt is Their Product: How Industry’s Assault on Science Threatens Your Health, because it accused large corporations, particularly those in the tobacco industry, of hiring scientists to speak out against scientific studies the corporations opposed. His detractors also objected to his position that gun violence is a public health problem. Nevertheless, the Senate confirmed his nomination in December 2009. A Democrat, Michaels has contributed $1,900 to Democratic causes and candidates, including $1,000 to the Democratic National Committee and $250 to the presidential campaign of Barack Obama. Organized labor was nothing short of giddy when President Barack Obama decided to make Jordan Barab the temporary head, and permanent No. 2 official, at the Occupational Safety and Health Administration (OSHA). Having spent his entire professional career dealing with workplace safety issues, Barab knows OSHA like the back of his hand, warts and all. The former labor union specialist worked at OSHA during the last years of the Clinton administration, and while George W. Bush was in the White House, Barab used his blog to publicly blast Republican efforts to weaken job safety regulations. A native of Palos Verdes Estates, CA, Barab graduated from Claremont McKenna College in Claremont, CA, in 1975 and received his master’s degree in international relations from Johns Hopkins University in 1978. From 1982 to 1998, Barab directed the safety and health program for the American Federation of State, County and Municipal Employees, one of the largest labor unions in the nation. He left the union in 1998 to join the Clinton administration, serving as special assistant to the Assistant Secretary of Labor for OSHA until 2001. During this time Barab helped spearhead the agency’s efforts to protect workers from musculoskeletal disorders, and he worked on a controversial set of new rules for ergonomics standards that the business lobby opposed. Although the rules were implemented in January 2001 during the closing days of President Clinton’s second term in office, Congress and President George W. Bush repealed them two months later. After leaving OSHA, Barab went back to the ranks of organized labor, becoming a health and safety specialist for the AFL-CIO from 2001 to 2002. 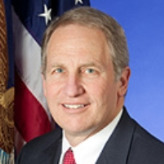 He then worked on workplace safety issues for the U.S. Chemical Safety and Hazard Investigation Board from 2002 to 2007, before joining the House Education and Labor Committee as a senior labor policy advisor for health and safety from 2007 to April 2009. Barab was an outspoken critic of the Bush administration through his workplace safety blog, Confined Space, which he ceased updating in 2007. Barab joined OSHA as the Deputy Assistant Secretary of Labor for Occupational Safety and Health as well as Acting Assistant Secretary on April 13, 2009.